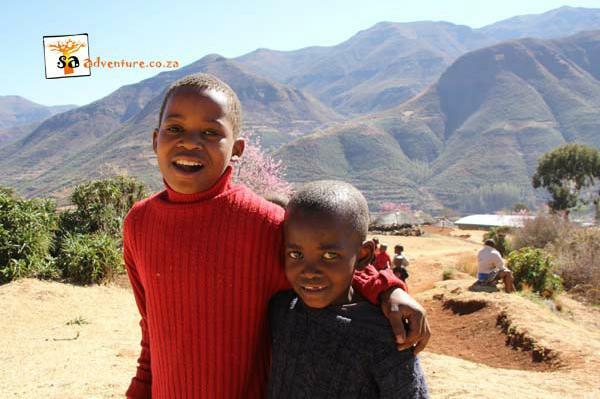 There is no other way to describe our recent redistribution to the MaHali community centre in Lesotho, other than breath taking. From the moment we met up with Hali, the new Maliba Community Trust Manager, anticipation and excitement filled the air. 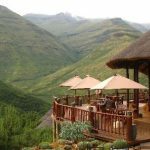 We set off from Maliba Lodge at 9am and drove to the MaHali community, greeted with the chants of the community workers and the smiles of the children. Our first stop was to view the litter that had been collected by the community in lieu of the Hand me Downs we were there to deliver. For each bag of litter collected, three bags of Hand me Down clothes are received. The community had not only collected the litter and put it into bags (some were recycled Hand me Down bags from a previous redistribution) but they had sorted all the litter into recyclable categories, all tin, glass and plastics had already been separated. What a surprise! The sense of pride displayed by the community for this achievement was absolutely breath taking. After celebrating their achievement with them, we all made our way to the community centre. The path we travelled along had not seen a vehicle for some time and needed some “adjustments” before we were able to get the vehicles through. When we reached the community centre we unpacked the vehicles. Bags of Hand me Downs coming from the roof of the Landy caused such excitement amongst the community. Suddenly new blankets started coming out of the roof top bag…ooooh aaaaah coming from the children as they jumped up and down, now unable to contain their joy! Together with the community, we carried the Hand me Downs to the building where the children would be called up one by one, by age, to receive their Hand me Downs. After a song of thanks, a speech from the chief and from the Hand me Down spokesman, the line up began. Each child waiting patiently to receive their Hand me Downs, the Community worker called the children up by most “needy” first. Most “needy” are the double orphans; these children do not have a mother or father and are supported by the community. 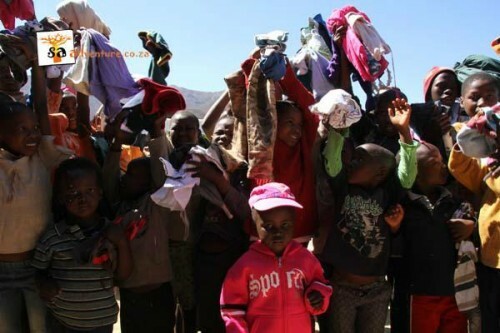 Each child was overjoyed to receive their new clothes, there were enough Hand me Downs to go around – that children received at least 3 items. To keep the others entertained while they waited in line, our group of volunteers taught the children how to blow bubbles (which we had brought with us and took the empty containers back with us) when finished. The young girls were so amazed by the bubbles and how pretty they were, one girl said “this is a beautiful toy, it makes beautiful”. J What a super special experience! After a successful redistribution, the volunteers were invited to have Sorghum meal with the chief and the community workers for lunch. The chief challenged a few members of the volunteer team to a “down-down” of the sour porridge. It has to be said, they gave him a good go. Thank you to the community for their kindness! After wrapping up at the community centre we made a final stop and loaded all the collected litter onto a bakkie, so that it can be taken back across the border for recycling. Thank you to community for collecting and sorting the litter. Thank you to those of you who donated your Hand me Downs, they make this project possible. 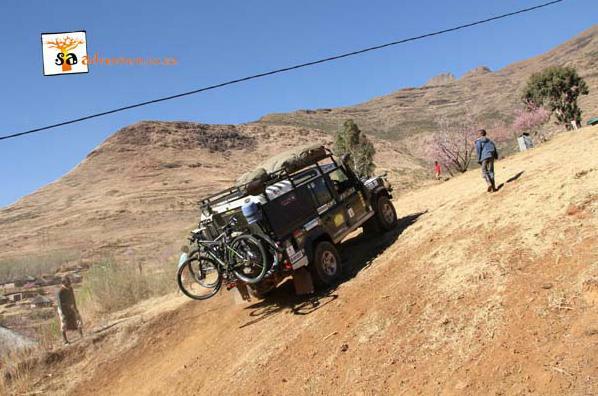 Thank you to Maliba Lodge and SA Adventure for their on-going support and last but not least thank you to the September volunteer team, Tim Skelton, Michele De Kreek, Sue Williams, Mark Menton, Bernie and Heidi Steyl and Shane and Amanda van Schalkwyk. What a great redistribution! We look forward to the next one!